The Martian was an interesting film, this movie is based on a 2011 novel, and it was pretty cool to see how quickly and effectively it has been adapted to film. While I enjoyed this movie, I felt as though a few aspects of the film were somewhat sped through. I understand that this was a long movie with a solid pace, and that a cinematic release will never be able to convey the intricacies of written literature, but I still felt like I was forced to know more than what they were telling me in the film. I love space travel, and I especially love that this movie deals with the matter of the possible colonization of Mars, but I wonder if I would have enjoyed it as much if I was ignorant to the film’s subject matter. The Martian is a good science fiction film, it packs enough suspense to keep most movie goers interested, while not over doing it in the dialogue with too much jargon. The visuals of the film, while someone plain, perfectly express the idea of total planetary isolation, and the special effects of the movie are top rate. I would definitely recommend this movie to anyone looking for an interesting and thought provoking action film. If you like a somewhat mindless suspense movie that throws in a bit of science for flavor, then this is definitely the film for you. Tonight we will have the joy of seeing the last “super moon” eclipse until 2033. The celestial event known by many as a blood moon occurs when the moon and earth align, casting the shadow of the earth to cover the moonlight. This event is quite significant because the moon is closer than it usually is to earth, which means it will also seem slightly larger. I am a big fan of astronomy, so I will be finding a nice place outside to sit and watch the event, but some people feel this 4th “blood moon” in two years holds a level of significance that adheres to the end of the world. To be honest, I don’t know when the world will end, nor is it my mission to know exactly when it will, but I do know that a really cool event will be occurring tonight. This lunar eclipse may not be a once in a lifetime level event like other celestial occurrences, but it is something that will be interesting to see. If you live on the east coast of the US, you will have a great view of this entire event, so go outside around 9:30 and catch a free show. One of my favorite things about getting out of the city is being able to look up at the evening sky, and see the free show of stars and constellations. 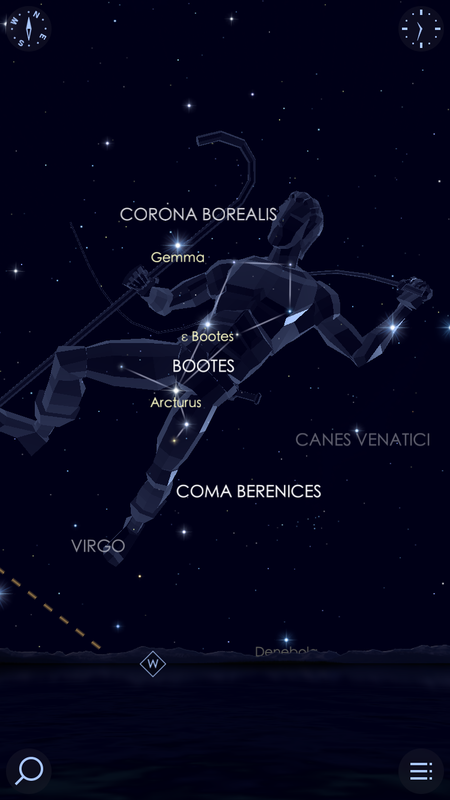 I find stargazing to be incredibly peaceful, and oddly thought provoking. It is interesting to think about how these stars I am seeing are light years away, and the fact that some of them may already be dead and gone is amazing. Centuries ago early astronomers looked up to the stars and mapped out constellations based on the figures they saw in the stars. There are 88 constellations officially recognized by the IAU, but I am sure anyone can look up at the sky and find a formation that looks like something interesting. I like to treat stargazing like cloud watching, I like to try and see if I can make my own constellations out of the lights I’ve been given. Looking up at the stars is definitely an enjoyable way to relax after a long day, hopefully tonight the sky is clear enough to enjoy the show. Growing up I was always taught of nine planets, we even had a clever mnemonic used to remember them, “My Very Excellent Mother Just Served Us Nine Pizzas.” The first letter in each word denotes the name of one of our solar system’s planets in order: Mercury, Venus, Earth, Mars, Jupiter, Saturn, Uranus, Neptune, and Pluto. In the year 2006 the International Astronomical Union ruled that Pluto should be categorized as a dwarf planet and is no longer to be recognized with the larger planets. I have been upset about the ruling on Pluto for years, since it means my “mother serves us nothing,” but recent debates look to change how we see our planets. Over the past year there has been a push to revise the way we classify planets, which would effectively add Pluto back to our teachable solar system. I love the idea of bringing Pluto back into the list of planets, but it seems like the changes to our planetary classification system would also add several other planets to our solar system. Three of the largest “trans-Neptunian objects” aside from Pluto are Eris, Haumea, and Makemake, these celestial bodies are just a few of what may become the newest planets in our solar system. I will be eagerly following these planetary developments, hopefully we end up with a few new planets. I will start working on a mnemonic for the poor children who will soon be forced to memorize this new list of 17 or more planets in our solar system.